Real Life Small Talk Situations in the U.S.
Small talk comes in various forms in the U.S. 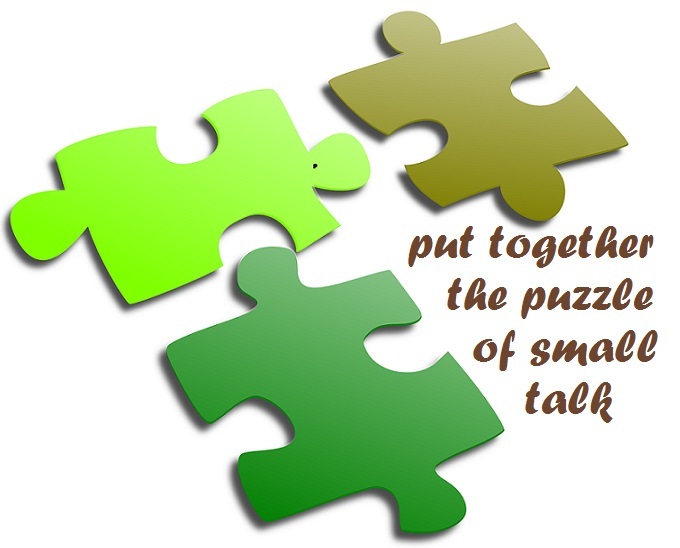 In this short post, let’s look at two elements of small talk interactions- timing and topics. Most of the time, meetings will start with a few minutes of small talk up to five or six minutes of small talk can ensue for colleagues that already know each other. This small talk moves into business discussions, then the meeting again ends with small talk. Small talk at the end of a meeting is usually for a shorter amount of time than the beginning of the meeting started with. However, the exception to this occurs when the agenda concludes with time remaining before the meeting is to end. For instance, when meeting colleagues at Harvard recently, we concluded our business discussion within 35 minutes. As the meeting was for 50 minutes (a one hour meeting is typically only 45-50 minutes), we filled the remaining time with small talk, catching up on our professional accomplishments and milestones and other related topics. While we may not always know the topics to avoid or questions that are appropriate, we can always try to take time to understand the person talking with us by observing their body language, facial expressions and tone of voice. Just like how that colleague who did not know me understood the lunch question was uncomfortable to me by my hesitation or body language, understanding people’s reaction to our words can help us to respond better. With Americans, keeping in mind the use of pleasantries like “I’m sorry,” or “Excuse me,” can mean a lot, using these in places where we think we have made a mistake can save us in many situations. If you or your team members are working with Americans and want to understand more about the U.S. work culture and values that cause some of the above situations to happen in American workplaces, contact us today for tailor made training programs that help individuals and teams assume more influence and leadership while working with Americans from abroad or onshore in the U.S.
Small Talk is not a Thesis Defense!